There are two properties by the Constance group in Mauritius, Constance Belle Mare Plage and Constance Le Prince. They are both luxury 5 star resorts, however, the main difference between the two property is that Belle Belle Mare is located along the coast, on a 2km long white sandy beach and it can accommodate a lot more visitors, while Le Prince is located within a lagoon, also a smaller and more private property. 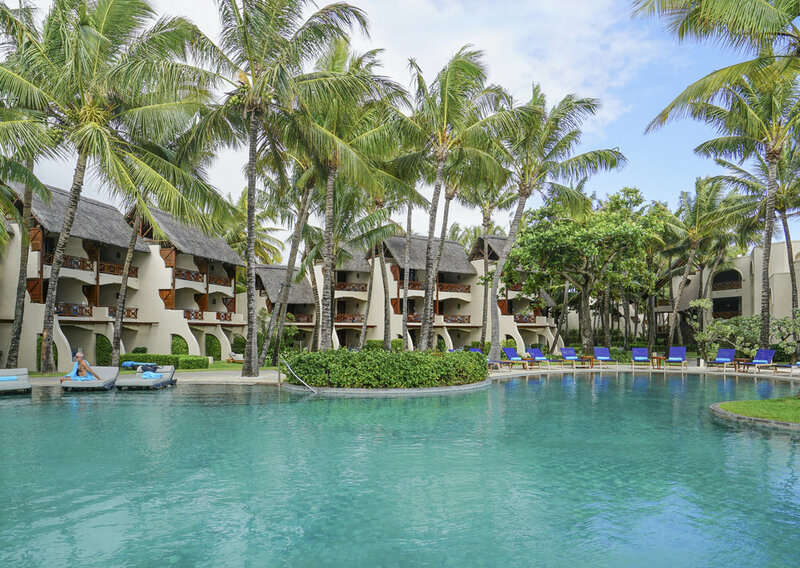 Constance Belle Mare Plage Mauritius has recently been renovated and reopened in mid 2016. It is named after the famous beach Belle Mare in Mauritius, where it is known for having some of the softest and whitest sand on the island. The beach is protected by an offshore coral reef which makes this an ideal place for swimming, water sports and a popular location for snorkeling. At Constance Belle Mare Plage, there are over 250 sea facing balcony rooms and beach front terrace, 6 deluxe suites, 18 private villas with pool, and also a 5 bedroom beach front presidential villa. All the accommodations are all furnished with modern style furnitures and have different tropical color theme. In addition, connecting rooms are available for all room categories except for the private villas, perfect for families to stay close to each other. Spa at Constance Belle Mare Plage is called U Spa, located away from the restaurants and have private a relaxation garden for guests to relax after a treatment. It is part of the constance spa principle where there is always a relaxation area. There are a total of 10 treatment rooms, 6 single rooms and 4 double rooms for couples to do therapy together. Besides, there is also a public sauna, steam room, cold plunge pool, and a gym with weekly programs complimentary to all guests. I have the opportunity to try both restaurants from Constance Belle Mare Plage and Le Prince, Constance offer daily shuttle between their two properties on the island, giving guests more dining options. La Citronnelle, the main dining center, opens for breakfast and dinner, located by the main pool, serves international cuisine in buffet style. It has both indoor and outdoor seating areas, allowing guests to enjoy their meal with a panoramic view of the beach. Indigo, a seaside restaurant that is open for lunch, afternoon snacks, and reservation only a la carte dinner. One of my favorite place to have lunch, serves South East Asian food and fresh seafood and meat from the Charcoal Oven, as well as homemade pizzas. Deer Hunter, located in teh club house of the golf course, has an amazing view of the greeneries with occasional sighting of the Java deer. The restaurant is open for continental breakfast with a Mauritian touch, and serves a la carte menu for both lunch and dinner. Lakaze, the name LAKAZE referes to the Creole word meaning "home," promotes a relaxation and comfort, is a barefoot concept restaurant where guests can enjoy a casual lunch and afternoon tea by the beach over looking the beautiful lagoon. 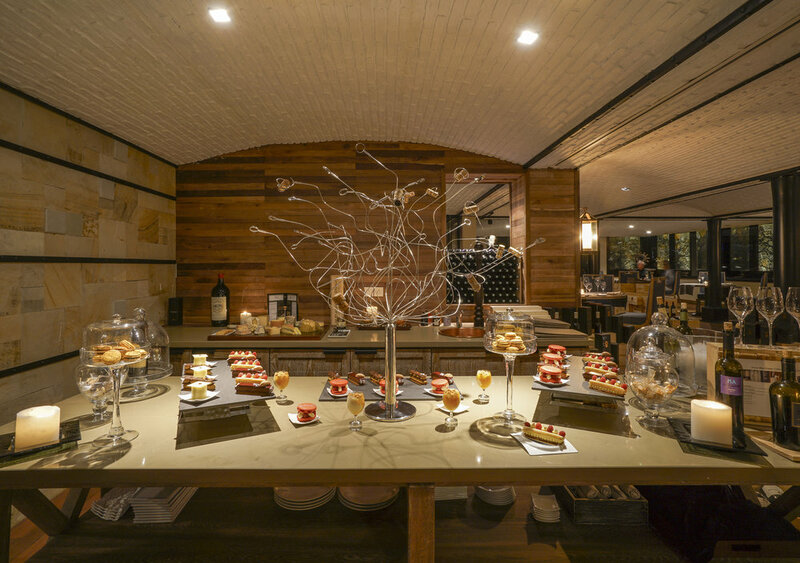 Guests can enjoy great salad bar selections, sandwiches, grilled seafood and meat during lunch time, and have pancakes, waffles, and desserts for the perfect tea time. La Spiaggia, located further away from the main pool and reception area, also a beachside gourmet restaurant that opens only for dinner. It is known to serve excellent Mediterranean dishes with both a la carte and set menu. Blue Penny Cellar, a reservation base a la carte restaurant located in the wine cellar. Constance Mauritius has one the largest wine cellar in the Indian Ocean with over 15,000 bottles from 1,300 different wineries around the world. Here at Belle Mare Plage, guests can enjoy an entire dining experience inside an elegant setting. I had the chance to try out their wine flight experience here at the Blue Penny Cellar with their knowledgable sommelier, and totally fell in love with the carefully planned snack and wine pairing. Le Swing, opens briefly for a light lunch at the club house by the golf course for guests who want to grab a quick bite. One of the main highlights of Constance Mauritius has to be their golf course, it is voted to be one of the best luxury golf resort in the Indian Ocean by the World Luxury Travel Awards in 2016. I have learned that many golf lovers revisit every year to enjoy their 18-hole championship golf course.